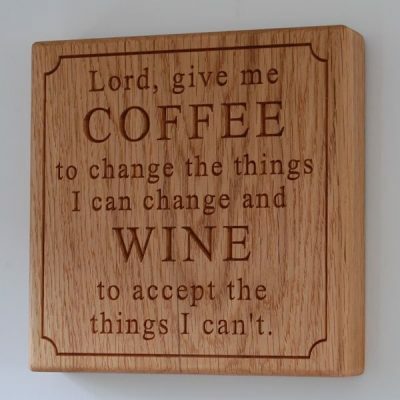 Our wooden wall plaques will look stunning hung on the wall of your lounge, kitchen, bedroom or hallway. 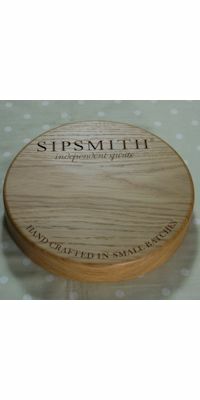 The plaques are carved from English or European oak, giving your home a personal, homely feel. 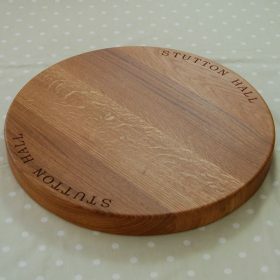 We have three sizes of wall plaque for you to have your favourite quotes, poems, sayings or anything else engraved on. If you have a favourite family recipe, you can have it engraved and displayed on your kitchen wall. Our wooden wall plaques are beautiful and unique, made from a single piece of chunky, solid oak, and have hidden fixings so no screws or fixings are on show. 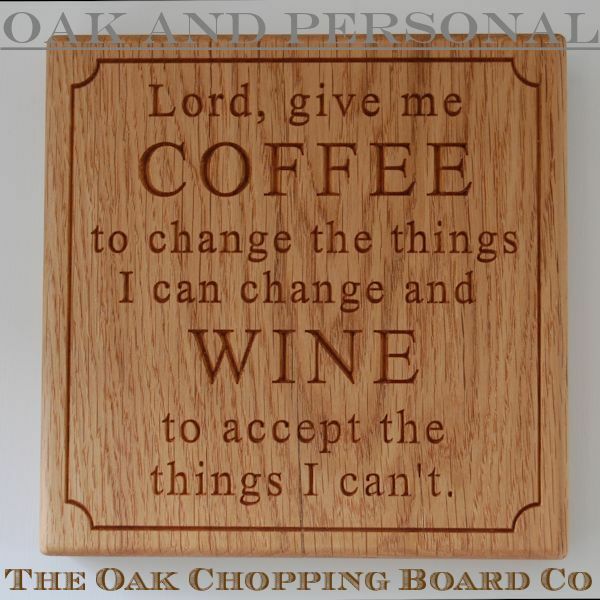 We have allowed a large number of characters on our wooden wall plaques to give you as much text as possible. Obviously, the more text you add the smaller we have to engrave it, resulting in less opportunity to emphasise some words in large characters as in our COFFEE/WINE example. You can also add designs from our range of 2D and 3D motifs; in fact, we are so flexible when it comes to our wooden wall plaques, if you have seen something engraved on any of our other products we can engrave it on a wall plaque too! If you would like something original that you can not find here please just ask us – we are always willing to oblige.